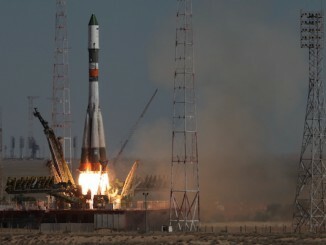 Russia’s Progress M-28M supply ship blasted off from the steppes of Kazakhstan on Friday, launching on a two-day trip to the International Space Station with critical supplies, fuel and fresh food displayed by station astronaut Scott Kelly. 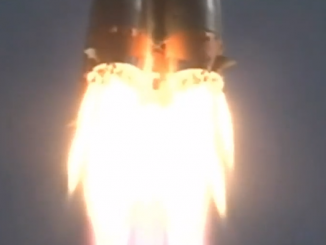 Packed with nearly 3 tons of cargo, including fresh water and oxygen, the resupply mission lifted off at 0455 GMT (12:55 a.m. EDT; 10:55 a.m. local time) Friday from the Baikonur Cosmodrome. 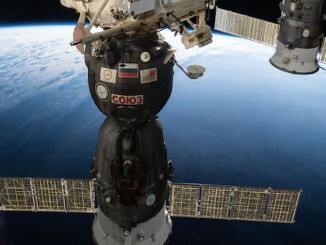 The cargo capsule reached the space station at 0711 GMT (3:11 a.m. EDT) Sunday after a two-day pursuit. Email the author. Follow Stephen Clark on Twitter: @StephenClark1. 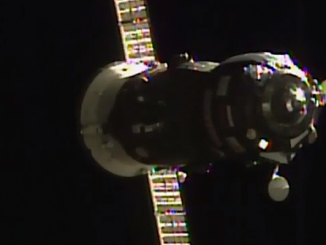 A Russian Progress cargo ship glided to a smooth docking with the International Space Station early Sunday, bringing more than 3 tons of supplies and equipment to the lab complex. Recovering from an April failure, Russia successfully launched a Progress cargo ship early Friday loaded with more than three tons of supplies and equipment needed to replenish stockpiles aboard the International Space Station. 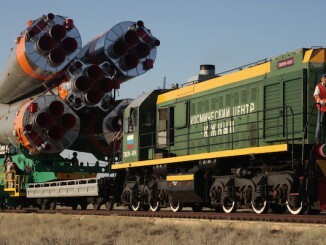 An eight-ton Russian Progress supply ship packed with nearly three tons of food, water and fuel for the International Space Station is ready for liftoff Friday on a vital mission to resume cargo deliveries to the outpost after back-to-back logistics flights fell short.